Argentina Reaches Settlement With Hedge Funds, Ending 15-Year Dispute : The Two-Way The agreement means the country, with its troubled economy, can once again access the international bond markets. Daniel Pollack, who was appointed by a U.S. judge to oversee Argentina's debt talks, announced the settlement with some of the country's largest debt holdouts. Argentina has reached an agreement with some of its creditors that should help end a long and acrimonious dispute that has blocked the country from the international bond markets. The deal, which must be approved by Argentina's Congress, calls for the government to pay $4.653 billion to four of the so-called holdout U.S. hedge funds. That equals about 75 percent of what they claimed they were owed. Argentina defaulted in 2001 and has been trying to restructure billions of dollars in debt, but a group of hedge funds, led by Paul Singer's Elliott Management, refused to go along and sued that country's government in U.S. federal court. U.S. District Judge Thomas Griesa subsequently issued an injunction barring Argentina from paying some of its creditors without also paying the holdouts, and the government went into default again in 2014. The legal fight wound up before the U.S. Supreme Court, which in 2014 upheld lower court rulings and essentially required Argentina to pay the holdouts. The court battle had lapsed into a bitter political fight, with former Argentine President Cristina Fernández de Kirchner labeling the holdouts "vulture funds." Meanwhile, Argentina was essentially blocked from borrowing any more money in the bond market. But everything changed after the November election of President Mauricio Macri, who vowed to end the dispute during his campaign. "The current administration realized that Argentina cannot be shut down from the international markets, so from the beginning they said, 'We're going to fix this problem,' and that's what they're doing," said Diego Ferro, co-chief investment officer at Greylock Capital Management, in an interview with NPR. Earlier this month, Judge Griesa agreed to lift the injunction that blocked Argentina from paying its creditors. 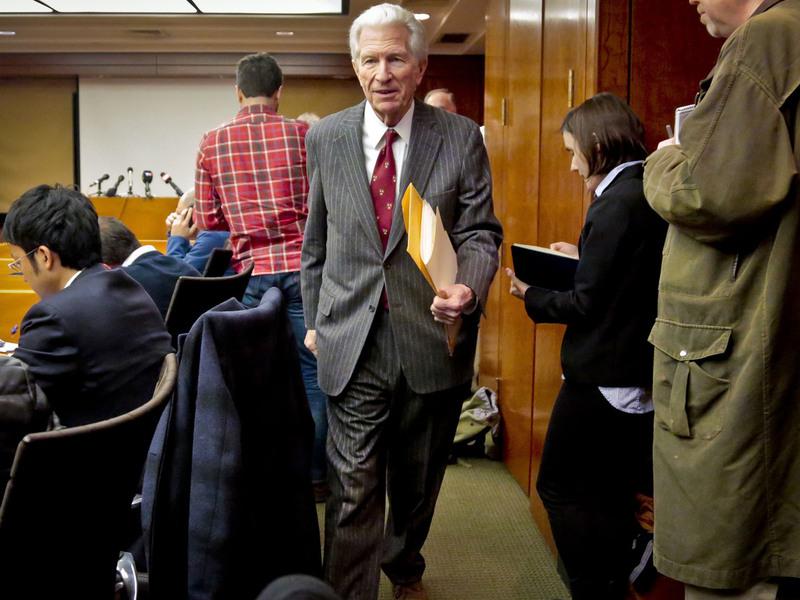 The settlement between Elliott Management and Argentina was announced this morning by Daniel A. Pollack, the special master appointed by the court to oversee settlement talks. The deal does not completely settle Argentina's debt woes, since some smaller bondholders continue to resist restructuring, Ferro says. But they lack Elliott's resources and constitute a smaller threat to the government. "With the biggest, most sophisticated holdouts settled and dropping their claims, I think that Argentina should feel a lot more comfortable going into the markets," said Anna Gelpern, a professor at Georgetown Law School and a nonresident senior fellow at the Peter G. Peterson Institute for International Economics.